It's been a while, but here's an outfit post to add a little new season inspo to your August Bank hol Sunday. I've been a veeeeery busy bee, with some INCREDIBLY exciting news to share super soon :-), all to be revealed in the coming weeks, woop woop. So we all know I'm a sucker for a black separate. Add the slouchy, midi-silhouette of the season to the mix, and of course a little leather-look, and you get these *shock horror* Zara culottes. The perfect season-to-season bottoms to team with everything from pointy mannish flats, to platforms & socks, trainers and barely-theres, they'll soon become your new AW14 all-occasion go-tos. And this blazer, though? One of countless pieces I'm currently coveting* (*maybe bought already, #sorrynotsorry) from River Island's INCRED new season collection, it's the most beautiful muted metallic tone, fits like a dream and looks damn amazing pared back against the season's soft greys and accented with golds. 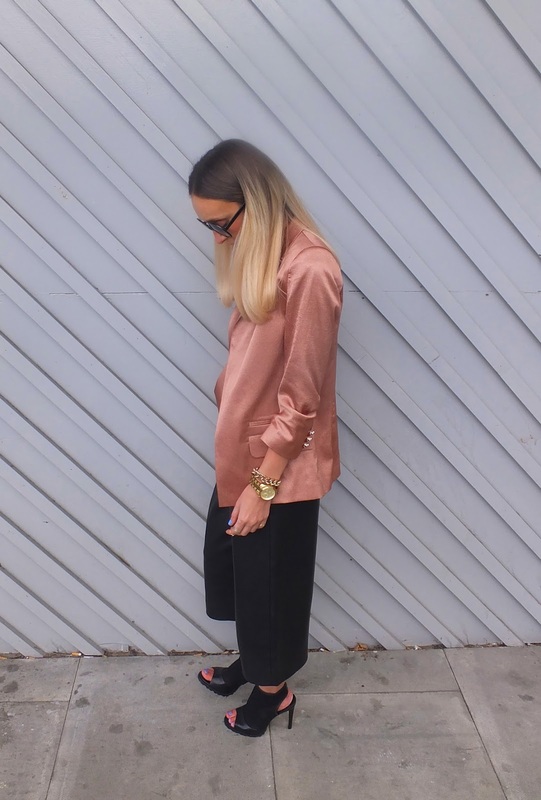 You can never have too many blazers, lovelies. Trust. And this one's a game-changer. Hope everyone's having the loveliest weekend :-). Ah love this whole look!! 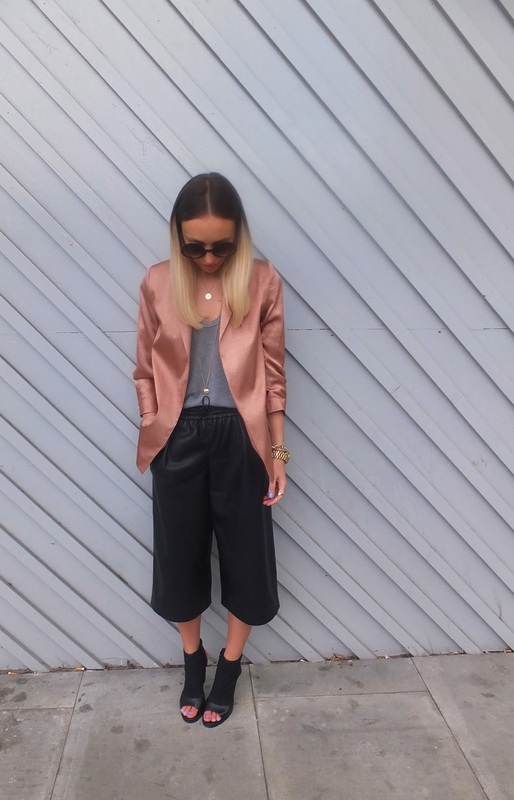 I'm such a fan of culottes haven't tried leather ones yet! !